‘Linda, I’m going to Indonesia!’ said my boss with his smiley face. Of course I was happy to hear that. My excitement suddenly vanished. Indonesia has 17,000 islands and most Australians only know Bali. Ok, Bali is beautiful and very easy to get to from almost anywhere. I probably would do the same if I were visiting from another country. Exploring Indonesia needs a lot of effort. Especially if you are planning to go to central and eastern Indonesia. It’s more pricey, transportation is not as well organised, and information is limited. So here I am, a local girl from central Indonesia, trying to give you some more additional information about Tana Toraja, one of the most beautiful places in the country. 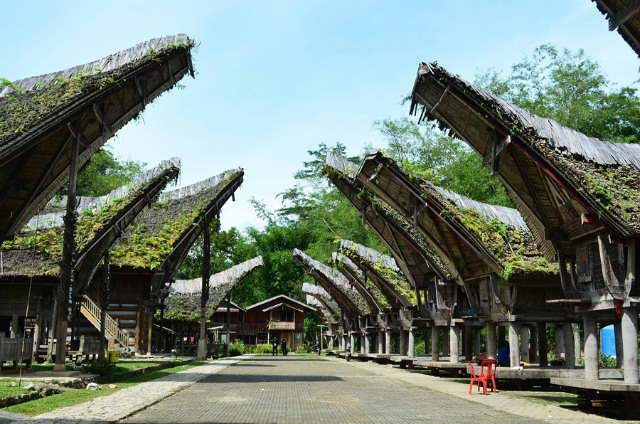 You can read Firsta’s articles about Tana Toraja, you can find the introduction to Tana Toraja here, and some things to do there and best restaurants in the highlands here. 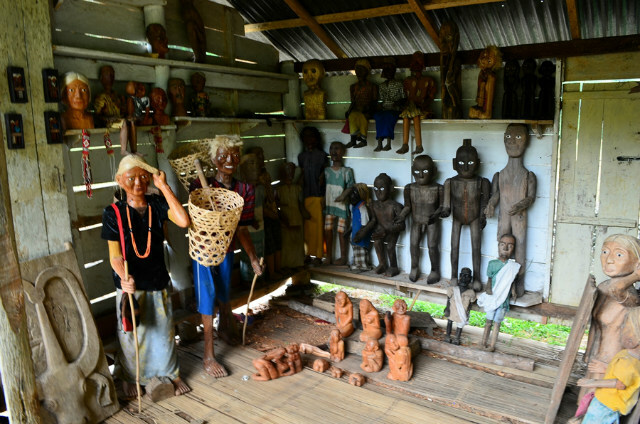 On top of that I would like to share more information that I am sure is going to help your Tana Toraja trip. I’ll cover local drinks, attractions that you can discover and transportation in Tana Toraja. Let’s begin! If you are used to drinking beer or wine back home, forget about it while you are in Tana Toraja. Some restaurants have Indonesian beer, Bintang, but why don’t you try the local drink Ballo’? It is made from palm wine – and please don’t ask me how to make it. If you are brave enough, mix it up with durian! For those who come with kids, tamarillo juice is great. If you want to make your own tamarillo juice, go to the morning market and ask for ‘katarrung’. Once you get the katarrung, peel it up and blend it with some sugar and water. Don’t have a juicer or blender? Just crush it in a cup with a spoon and then add some water and sugar. Easy peasy. Batutumonga is a highland village in Toraja. Some people say it is one of the most beautiful villages in Indonesia. The sunrise from Batutumonga is beautiful, but you need to get up very early in the morning and do some hiking to get the best spot to see sunrise. Want to have an experience staying in a tongkonan (traditional Torajan house)? Stay in Mama Ria Guesthouse. You can go to Bolu Terminal to find a public transport to Batutumonga. It costs Rp 20.000 – 25.000. The road is uphill with breathtaking views along the way. Once you get Batutumonga, don’t miss the beautiful views and stunning sunrise from the top of Mount Sesean. It’s a bit tricky to find the way up because there is no sign. Just ask the local people and they will be more than happy to show you the way (if you pass through a house with a loud barking dogs, you are on the right way). If you want to camp on Mount Sesean, you can rent equipment from some of the tour operators in Rantepao. This is the place where animals are traded, mostly buffalo and pigs. Buffalo have a special place in the rituals of Tana Toraja. That’s the reason why buffalo, especially albino buffalo, can be so expensive. The cost of one buffalo can equal the price of a brand new car! To get Bolu Market from Rantepao, you can take the blue public transport called pete-pete from Jalan Ratulangi (it passes by Wisma Maria I and Luta Resort) or from the Tongkonan Roundabout. It costs only Rp 3.000 each way. There are plenty of tour organizers in Rantepao that can organise rafting. They will take you down the hill through the muddy road to reach the river. Just take a pete-pete (public minibuses) from Rantepao past Ke’te. Stop at the sign ‘Pallawa’ and you can see the line of tongkonans (traditional houses). Hike to the top of the hill and you will find another burial cave and a beautiful view. Some of the dogs will probably bark at you crazily. Keep calm and keep going. Hundreds of megaliths stand on the ground as part of the ritual in Bori Parinding. Each stone represents the past social status of the dead person. Bori Parinding can easily be reached by public transport to Batutumonga from Bolu Market. There are two kinds of local public transport in Tana Toraja: pete-pete (blue or yellow minibus), or kijang (it can be a real Toyota Kijang, or a car with a yellow numberplate). Pete-petes have a fixed route and price while kijangs don’t. 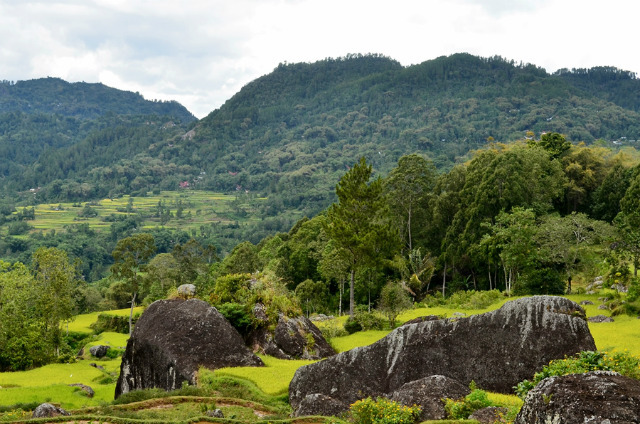 Most of the top attractions in Tana Toraja can be reached by public transport, but it will take ages, because they only leave when the vehicle is full. Though public transport is supposed to have yellow number plates, some private cars take passengers as well. Hitchiking would be fun in Tana Toraja, but make sure you get in a private car instead of a nice kijang with black number-plates, or the driver will ask you to pay. A motorbike is the best way to explore Tana Toraja. The roads can be muddy in the wet season. All of the hotels and guesthouses can arrange motorbike or car rentals, complete with the driver as a tour guide. For short rides there are bentos, the three wheeled taxis that can accomodate 2-3 person. There is no fixed price, but don’t pay more than 10.000 IDR. Ojek is a motorbike taxi. You can hire a motorbike for a short ride or even for a day tour. – Altough Tana Toraja is in the tropics, it is in the highlands so temperature can be very cold. Make sure you bring enough warm clothes during your Tana Toraja trip. – If you are a foreigner, local people (mostly children) will probably ask you to take pictures with them wherever you go. Please don’t be annoyed, because they are just curious. Growing up in Tana Toraja, Linda met lots of tourists with blonde hair, white skin and blue eyes. It created a dream that one day she would become the tourist abroad, and people would be stunned to see her. She achieved her dream, living and working in Australia. Although no one stopped and stared at her in awe. Please follow Linda’s story in Australia (work and holiday) on www.lindabungasalu.com. Postingannya useful banget mba’, bisa jadi guide para turis mancanegara yang pengen jelajah Toraja tanpa harus lewat agen tour.